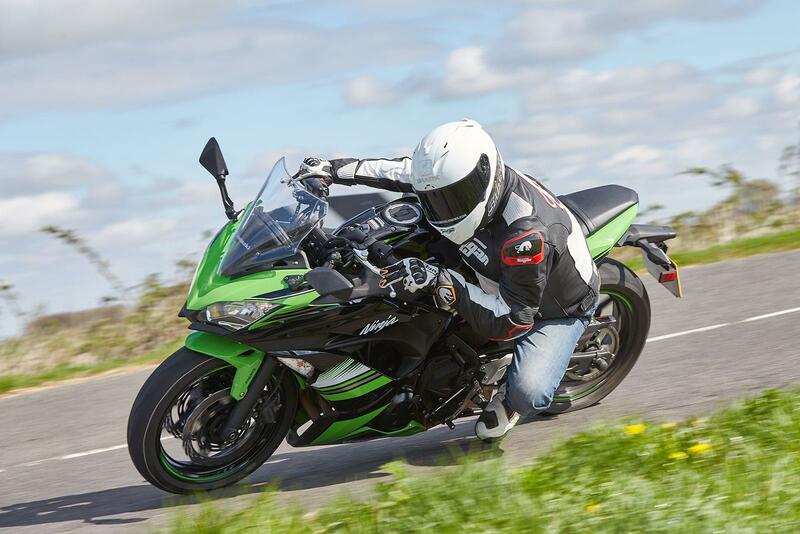 What do you want to know about the Ninja 650? 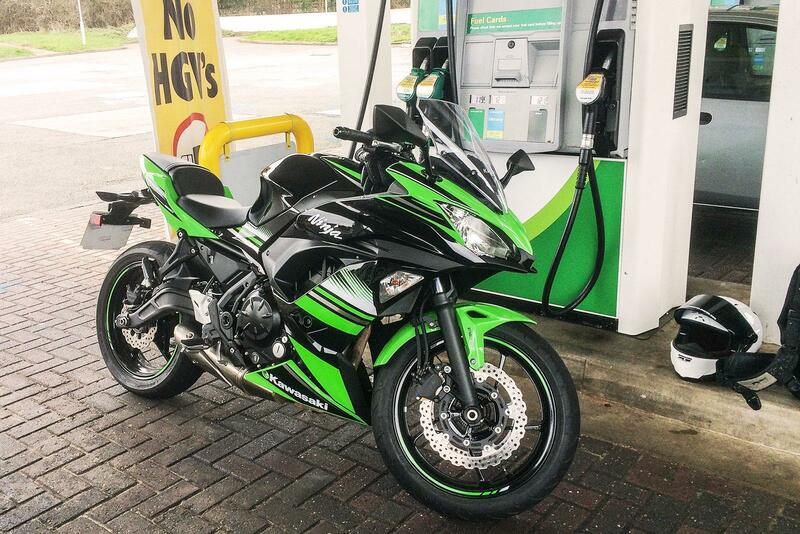 I’ve done just shy of 3000 miles on the Kawasaki Ninja 650 now so am building up quite a good idea of what the bike is like to live with every day. In the time that I've had it a few people have been in touch with questions, so I thought I’d post some of the common ones asked. As a budget orientated bike, the suspension is pretty basic on the 650. The forks have no adjustment at all and the rear only has preload adjustment – which is hideously awkward to change and involves taking a side panel off. I was pleasantly surprised to find that it’s not as bad as some units I’ve tried on bikes that cost more, which I think says quite a lot for the bike given that it only costs £6,500. When pushing on, it starts to struggle on good roads and I plan on replacing the rear shock and the fork internals later in the year to see what improvements can be made. In everyday riding scenarios and for commuting though, it is perfectly adequate. 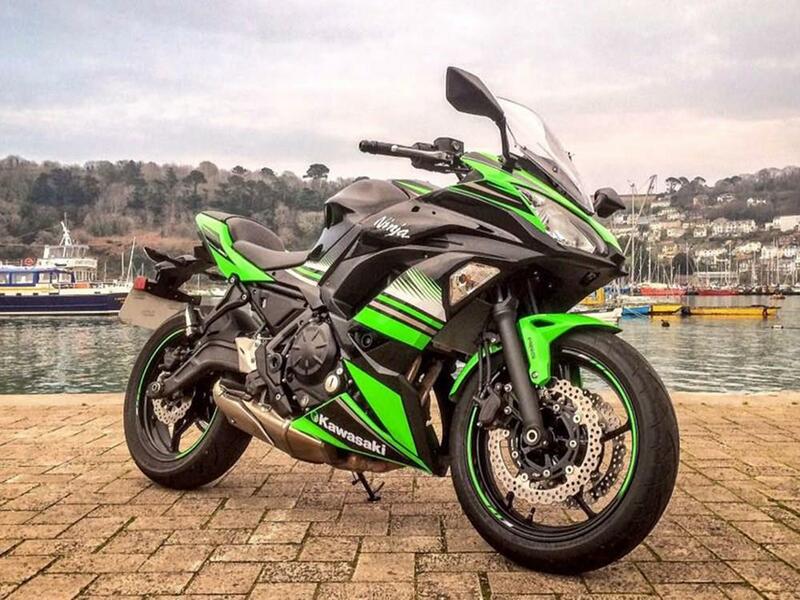 Overall, I think Kawasaki have done OK with the suspension for the price you pay. The bike is probably more hindered by the tyres than the suspension. The standard Dunlop D214s that come on the machine don’t give much feel or feedback. I feel this is possibly the area that shows the budget price tag the most. You don’t get a great amount of feel for what’s going on with the standard rubber and in the wet I didn’t have any confidence in the tyres at all. Since then, I’ve replaced them with a set of Metzeler Roadtec 01’s and they’ve completely transformed the bike. It feels more alive, more planted and gives a much better response to what’s happening on the road beneath me. Both are similarly aspirational motorcycles, I’d suggest going to view each, have a sit on them and also take them for a test ride if you can to find out which you prefer. The biggest difference between them is the motor – the Kawasaki is a parallel twin and the Honda is an inline four (and slightly more powerful). Ride them both and see which you get on with better and make your decision around that. Personally, I like the Ninja over the CBR. But that isn’t for any other particular reason other than I simply like the looks of the Kawasaki more. It is also considerably cheaper and would be the machine that I would realistically spend my own money on. However, they’re both great bikes. It might not have the grunt of a proper ZX-6R but I’m finding that it’s enough for everyday scenarios and does the job of offering heaps of fun on twisty roads. Also, its semi-sporting profile is great for helping egg you on when you get on some belting B-roads. Thankfully your weight doesn’t sit completely on your wrists as per a normal sportsbike, making it good for motorway miles too. I’ve done a few bigger trips on it now with a trip to Dartmouth being the longest so far. It was about 4 and a half hours and was comfortable for the whole ride. It’ll sit comfortably at 70mph at about 6000 or so rpm, and will top out at about 120mph. And its torque gives enough grunt to get you there with relative ease. That said, I’ve been told that there’s more to unlock from the top end of the rev range of the 650 twin as Kawasaki had to dumb it down slightly to get it to meet the strict Euro4 regulations, so this is something I tend to try and explore. I also want to get the ECU re-mapped and stick an aftermarket exhaust on to free up some of those extra horses. The range of the bike is something that I’m not entirely satisfied with. I will only regularly get between 100-120 miles from a full tank before the reserve light starts flashing at me. It isn’t that the bike has a bad range either, the 15-litre tank will get a theoretical 163 miles before it’s run completely dry, based on the 49.41mpg I’m currently returning. What I don’t really understand is how a reserve tank should last 50-60 miles, in my mind it should surely be used for maybe half of that range as I find it quite unnerving and sometimes unsettling to find that the reserve light is flashing at me, even if it is doing so unnecessarily, as I’ll only be filling it with between 10-13 litres, meaning that there’s still 2-5 litres in the tank. The Ninja 650 makes a brilliant commuter bike. The motor is frugal and very easy to live with. It’s very forgiving and friendly when using the bike in slow moving traffic, making it a doddle to get on with when negotiating four-wheeled obstacles in the city. The slip-assist clutch is light and makes it easy to feather without putting too much strain on the forearms - the relaxed seating position helps too. It’s also a nice bike to filter on. The profile of the Ninja is pretty narrow meaning that its simple to flick the bike between cars. If there’s something you’d like to know about the Ninja 650 then email your questions to: james.archibald@motorcyclenews.com.